Crafting + Whisky = A Few of Our Favorite Things! We were fortunate enough to be invited to a fantastic bloggers event this past Friday, sponsored by The Balvenie, single malt scotch whisky, in celebration of the 25th American Craft Council‘s (ACC) Show at the Cobb Galleria… And let us tell you, any event that combines fantastic design with great whisky is a win in our book! And even more fortunately, our friend and fabulous designer, Lori May of Lori May Interiors included furnishings and accessories from steve mckenzie’s in her beautiful space at the ACC Show, as a part of their Make Room, Modern Design Meets Craft-Let’s Entertain exhibit. 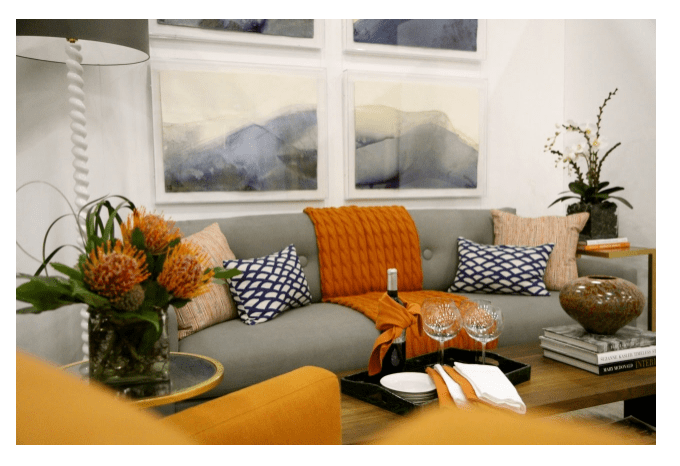 Lori’s space, featuring furnishings and accessories from steve mckenzie’s. A big thank you to Lori for including us! The ACC selected some wonderful Atlanta area designers to design a space inspired by some of the craft vendors at the show, and there were so many amazing designs. Handcrafted items add such a unique element to a space, and the designs featured in this exhibit didn’t disappoint! The evening of the big event, celebrating the ACC Show, and their designer exhibits, was all about great design and whisky tasting… Perfection! In preparation of this night, the ACC asked the supremely talented Bill Peace, of Peace Design, to create a whisky-tasting room. Of course, it was a sight to be seen, so warm and wonderful! 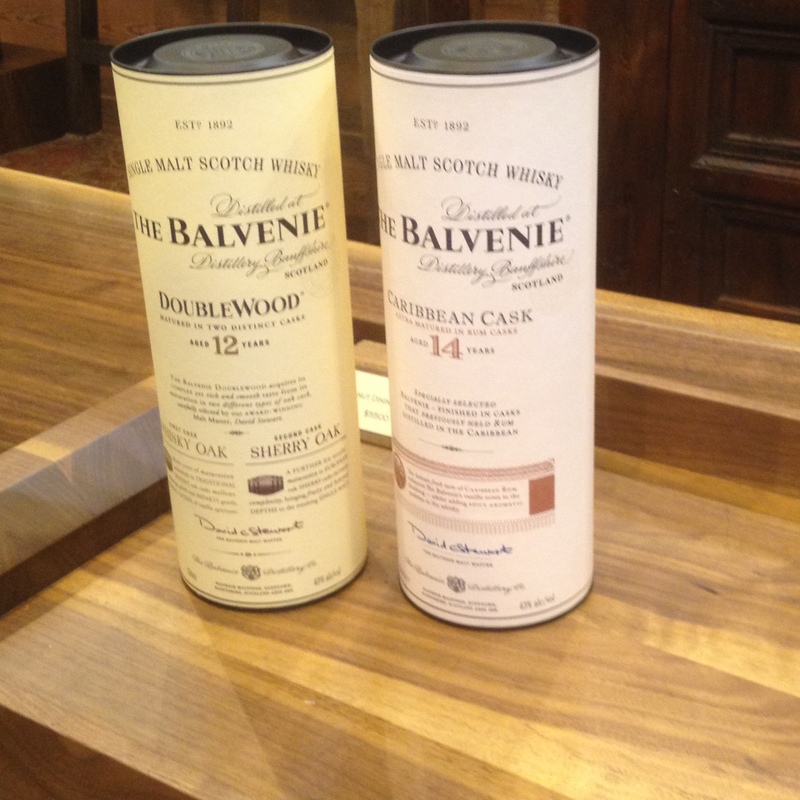 Two of the distinctive whiskys, by The Balvenie, which we tasted – delicious! 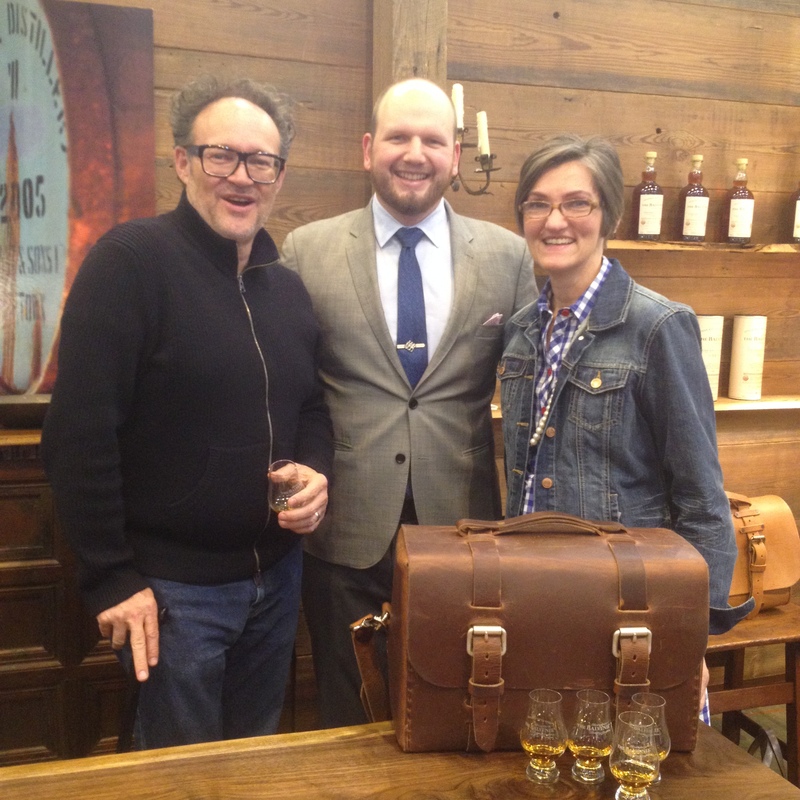 In addition to the wonderful whiskys featured that night, The Balvenie called out four other small, handcrafters whom they admire, including Hoosier Bats, from Valparaiso, IN, and Colsen Keane Leathers, from Charlotte, NC, which we carry in store at steve mckenzie’s! 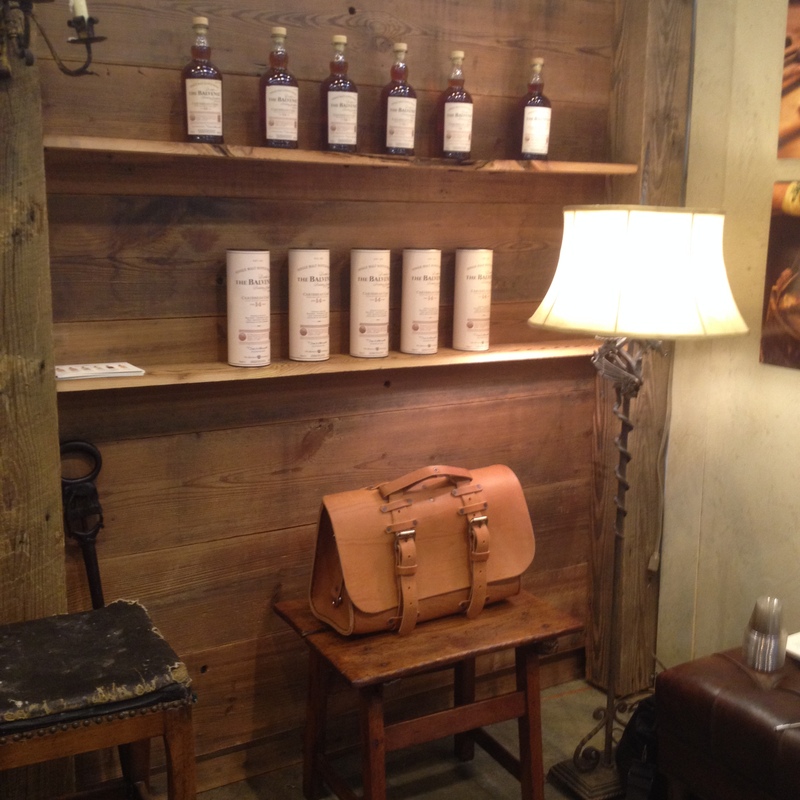 Bill Peace’s whisky-tasting room, with The Balvenie, featuring leather goods by Colsen Keane. The ACC and The Balvenie certainly put on a memorable event and we are grateful to have been invited, and included in that fantastic space by Lori May Interiors. And a shout out to our friend Mary Jane Payne of Forever 51, who came along – you made the evening even more enjoyable! Here’s to amazing handcrafted art, fabulous design, and delicious whisky! Previous Wishing you all the luck o’ the Irish – Happy St. Patrick’s Day from steve mckenzie’s!